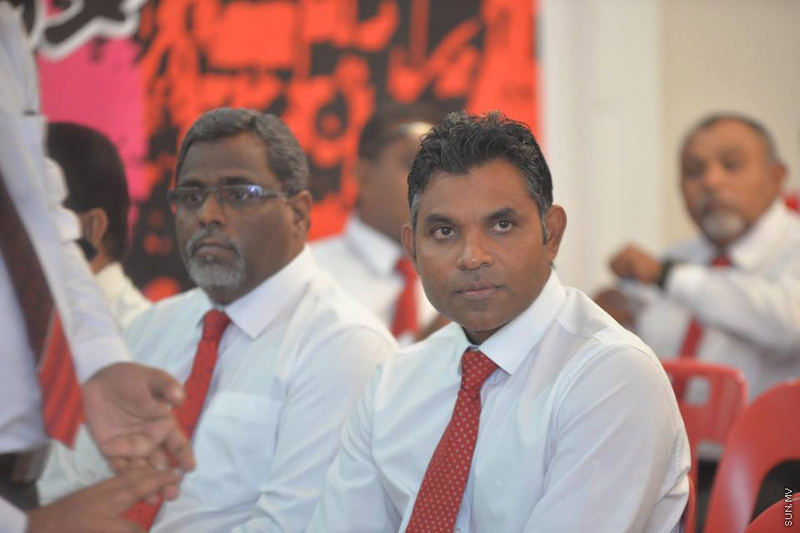 Faisal Naseem has been officially appointed as the running mate for the Opposition candidate in the upcoming Presidential Election, Ibrahim Mohamed Solih (Ibu). High ranking officials from both MDP and Jumhoory party attended the special ceremony held at the Jumhoory Party campaign hall at Maafannu Kunooz today, and congratulated Faisal. Speaking at the ceremony, Faisal said that victory is within reach if everyone works together and within the law. Some members of MDP are not happy with the decision to appoint faisal as the opposition running mate. And the former member of Jumhoory Party, Moosa Anwar, filed suite at the Civil Court to overrule the vote to elect Faisal as the running mate before withdrawing.